At first glance to many of you the title and contents of this post may be obvious, to others it will probably seem absurd. But I am writing this post for myself as well, almost as a reminder for myself and for my productivity. Television has been ever-present in the lives of my generation. With affordable cable packages offering hundreds of channels there is almost never a time where there is nothing to watch on tv. But with the ability to sit in front of the television comes a slew of problems that affects many of us in a less than desirable way. 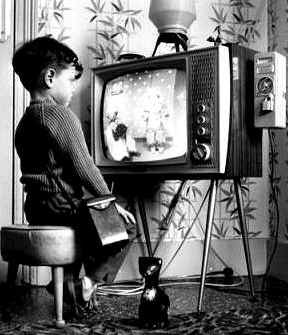 The so-called “television trance” has been talked about for decades but very little has been done to prevent younger generations from becoming dependent on it. Parents and Grandparents often use the television as a form of baby sitter for their young ones, unfortunately this has become an accepted practice and the children who have a television habit by the time they reach pre-school is at alarming levels. What we should all do is set a limit for ourselves and for our children (if you have children, obviously I do not) and maintain that limit in order to maintain a healthy lifestyle. All too often I have found myself with the TV as background noise while working only for it to catch my full attention and eventually be sitting in the recliner watching it with my undivided attention minutes later. This has led to a devastating drop in my productivity in the past and I had to make a conscious choice to change it. In the weeks since I have spent a considerable amount of times doing other things I enjoy such as running, writing and reading. While running is not the most intellectual thing you can do, for me it creates an escape of sorts from the real world. You should find something that you like to do which can take your mind off of everything for at least 30-45 minutes a day, I feel like this is healthy and some of my clearest thoughts come to me in the shower after a long jog. Writing and reading obviously help me do other things that enrich the mind and fill the void that television sometimes fills if we let it. I am not like most people you will ever meet (in fact, I am probably the only person like me you will ever meet if you have the opportunity to do so) but I feel that this policy can help people of all types and certainly is not limited to a small group of individuals. You see, almost everyone has bad habits, and simply by acknowledging them as such you are well on your way to fixing the problem (no this is not going to turn into a self help novel lol). it is important to figure out what types of activities you enjoy and make it a priority to do those types of things. Most people won’t like the things I do to curb my tv habit and vice versa, so set your own plan and be prepared to stick with it. For instance, I am of the belief that you should only read books that teach you something. Being a bit of a pessimist to me that means all fiction books are a waste of time, and while I am almost certain there are thousands of people out there willing to give me examples of how they learned something reading a fiction book however I will not be convinced. When I read a book I do so with a clear purpose, to understand the topic at hand significantly better than I did before reading. This obviously will not apply to all people (maybe not even MOST people) but it works for me and finding that which fits your individual personality is the only way to ensure success. I found after cutting my tv intake down to just 7 hours a week (with saturday college football being the exception) that my productivity has sky rocketed … it allows me to spend more time at my computer developing and working on my code base, all the while generating all new and enlightening problems for me to fix. Problem solving, at least so far seems to have been the best thing about kicking the tv habit for me, I feel like I get to learn infinitely more than I did even when I was in school by simply generating and learning how to fix the problems generated by my work. The only way you can get to a place where where you are not dependent on the television, and critical thinking will make an entry into your everyday life is by making a conscious effort to make that happen. I challenge all of you reading this post to cut down what holds you back, and make your life the next success story. Tell me what keeps you from accomplishing your goals. Is it a different habit? a dead-end job? A dismissive family? what did you do or will you do to overcome it? Use the comments section below or the Contact page to tell me your story! So for those of you reading this post who aren’t developers I am truly sorry, this post just may not appeal to you. For those of you that are I think you should make some time in the very near future to acquaint yourself with codeigniter. It’s a lightweight framework that is fast and efficient. I have experimented with all sorts of different frameworks over the past few years (CakePHP,Zend Framework,Apache Click,django) just to name a few, however I was immediately taken by codeigniter’s ease of use and speed. I think you will be too! Basically, codeigniter is a great and easy to use web framework, that should make for a simple start to just about any project. I have a few complaints with security but I think that is something that can be easily tuned and tweaked with minimal effort. I want to give a shout out to @HartMichael for giving me the heads up on the framework. (I’ve been using CakePHP almost exclusively for a while on php apps) After about an hour toying around in the documentation and tutorials I jumped to work on my first codeigniter app and so far, am extremely pleased with the responsiveness of everything and over all feel of it. I hope to write a more detailed review soon, but if you know me personally, you know I am in the middle of a new startup venture and I have been working fairly tirelessly on that. So this is it for now. Check back in the next few weeks for more info on the startup, just to give a hint, if you are wanting to sell something online in the near future, but would like to get a little more for it than you can on eBay or Craigslist shoot me a message on facebook or on twitter @zbruhnke or just use the Contact page to give me a shout and I will set you up to be a beta tester for the new site if you’re interested. Monetize your ideas – But not too fast! This post has been jumping back into my thoughts for sometime over the past few months. As a young business professional who has seen both sides of success I feel it is something that people (especially young people) should read and consider. Over the weekend I saw the movie “The Social Network” and while much of the movie was completely fiction there was at least one part in there that was true beyond a reasonable doubt. Mark Zuckerberg turned down a 1 billion dollar offer to acquire his company (facebook) while it was still in its infancy. 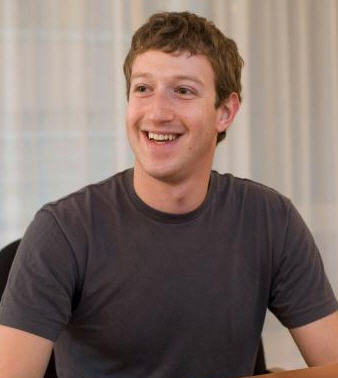 Now certainly Mark is the exception not the rule although one thing he did right was that he believed in his idea, and he believed in shaping facebook to his vision for the future. But perhaps most importantly, he did not let money taint his vision. Over the past few decades thousands of companies started off with bright futures only to be bought out by the companies who already ruled the market. This phenomenon is mainly because of two reasons. First, smaller companies and people just starting typically only have a limited supply of money in the beginning. Without either angel funding or investment from VC’s many of the world’s great ideas are destined to fail. Second, these small companies are often afraid if they do not sell the larger companies will simply try to become a competitor and end up winning the long term battle for customers and/or money. While that might be the case occasionally, what most great entrepreneurs know is that the first one with the idea typically wins. Zuckerberg knew that facebook had gained too much traction by clinging on to a niche market (Colleges) and running with the generation as they came into their own as professionals. Maybe he did not know how big it would become, or even that some would consider it a phenomenon, but certainly he knew that facebook was bigger than just Mark Zuckerberg. I can think of no better example of this being true than Steve himself. He founded Apple computers against all odds in the 70’s and after some initial success and doing the corporate thing (taking on investors, appointing a board of directors, etc.) he got sideways with the board of directors, and the company he started did the unthinkable. They fired him! However, Steve (After moping for a period of time I am sure) did not give up. He went on to found two highly successful companies. Pixar, which is now owned by Disney and the company responsible for creating some of the highest grossing animated films of all time. And NEXT, a company eventually acquired by Apple allowing Steve to have his job as CEO back and the Mac OSX operating system to be born. The point to this post is that all things truly do happen for a reason. People have great ideas every day, but society is such that more often than not we believe we cannot accomplish these goals because we have our work cut out for us. Just because something is hard does not mean it is not worth it. Don’t give up on your idea or settle for an offer that will not do your ideas justice. Work for what you have, and believe in your ideas. Money is important, but if you allow money to become a side affect of what you do, instead of the end goal you will become inherently more successful. Money might “make the world go ’round”, but without the ideas and concepts driving people to spend it we would be stuck in a miserable cycle. So I challenge you. Next time you think of a new idea or start a new business, try to monetize it, but do it in a way which is carefully planned out. Allow your ideas to conceptualize before selling them off to let someone else reap the benefits. and by all means remember what steve said! The people who are crazy enough to think they can change the world, are the ones that actually do. You are currently viewing the archives for October, 2010 at Zach Bruhnke.